What’s the best way to take in a big city like Helsinki, Finland… and do so in the shortest amount of time possible? One way to do it is by participating in a memorable guided bike tour! Bike Tours Helsinki is a small, but well-run bicycle touring operation that gives informative and entertaining guided bike tours around the city center of Helsinki, Finland. The tours aren’t long or particularly challenging (anyone who knows how to ride a bicycle can participate), but the experience of cycling around downtown Helsinki while at the same time learning about the city, its people, and its history is something you will remember for the rest of your life. There are four different bike tours currently on offer by Bike Tours Helsinki. The most popular of the company’s bike tours (and the one I participated in myself) is the 3-4 hour Helsinki Highlights tour which will take you to the Cathedral of Helsinki and the Senate square, the Market Square and indoor market halls, Finlandia Hall, Kiasma contemporary art museum, Temppeliaukio (the city’s famous rock church), Töölönlahti (the Central Park district), the Olympic Stadium, and will introduce you to Finland’s sauna, design and coffee culture. The company also offers a Sunset Sauna Cycle, which is a 3-4 hour tour where you will learn about the history behind public saunas, visit the Kallio, Tervasaari and Merihaka/Hakaniemi areas of Helsinki, and stop to bath in one of the city’s most famous public saunas! The Green Trail Ride bike tour is for those wishing to see Helsinki’s parks and nature districts. 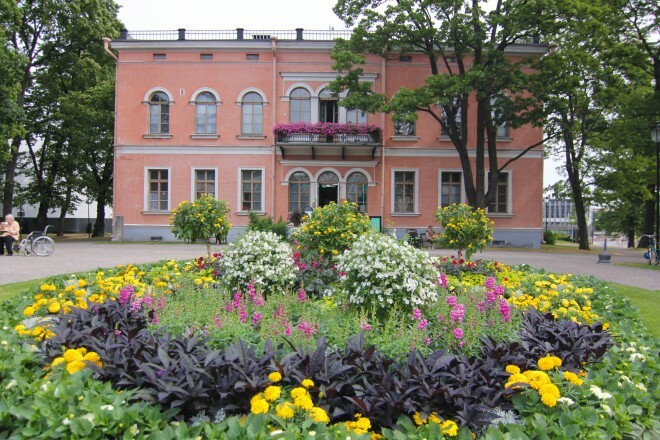 Throughout the tour you will visit the Viikki & Vanhankaupunginlahti nature reserves, enjoy the arboretum of University of Helsinki, and cycle through the famous Arabia design area. You’ll also be given a pair of binoculars to use so you can get a closer look at many of Finland’s most popular and rare bird species. Finally, there is the West-Side Arts & Archipelago Cycle bike tour, which is a 4-5 hour bike tour which allows you to experience the Seurasaari open air museum, Sibelius monument/park, the Archipelago art houses, the headquarters of the wildly popular Angry Birds video game/movies, the home & studio of famous Finnish architect Alvar Aalto, and the Hietalahti cemetery. Booking a bike tour with Bike Tours Helsinki is easy. Just send an email with your name, the number of people in your party, and the preferred date of your bike tour of the following email address: info@biketourshelsinki.com Or call the company directly at +35844 502 0066. Once your tour has been scheduled, your only job is to show up for the start of the tour at your scheduled date and time. The company’s bike tours operate every single day of the week – from 10 AM to 3 PM. Each tour lasts between 3 to 5 hours and should be booked at least a day in advance. The cost for the tours (at the time of this review) is between 50 and 60 Euros (depending on which bike tour you choose to participate in). 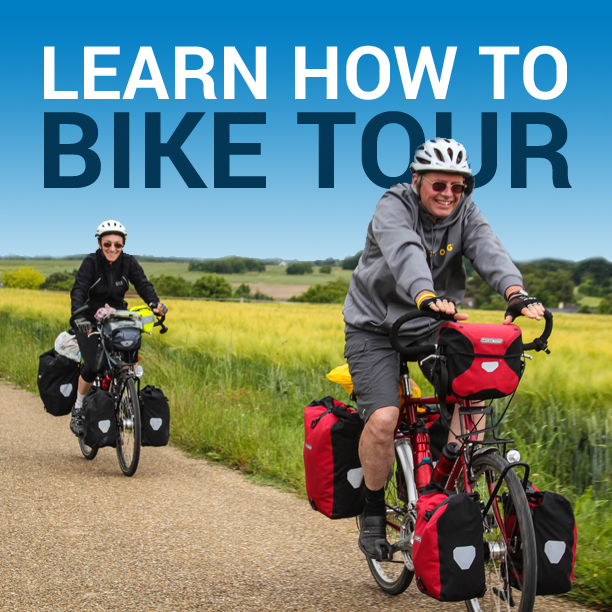 The price of the tour includes a bike for you to ride for the duration of the tour, a knowledgeable guide, a helmet, a snack, and (depending on which tour you choose) other extras (such as bird-watching binoculars or entrance to a local sauna). Bike Tours Helsinki has two different locations that they use for the start and finish of their bike tours. They are conveniently located on the two opposing ends of Helsinki, making it easy for you to reach the destination closest to you – depending on where you are staying in the city. Selkämerenkatu 6 is in the Ruoholahti district, just a block away from the Ruoholahti subway station. If you arrive in Helsinki on a cruise ship that docks at the West Harbour, this is the location you will use, which is only a 1.5 km walk away. The company’s other location at Luotsikatu 2 is in the Katajanokka district near the Uspenski Russian Cathedral. Trams number 4 & 4T stop just around the corner from the shop and this location is also just a short 1 km walk from Helsinki’s Esplanadi Boulevard or the Senate Square. How Skilled Of A Cyclist Do You Need To Be? There are currently four different bike tours of the city on offer by Bike Tours Helsinki. The Helsinki Highlights bike tour is both the cheapest and most popular tour on offer by the company and anyone that knows how to ride a bicycle can participate. There are no major hills to speak of during the entire 3+ hours of the tour, but there are at least one or more short climbs. You don’t need to be a “cycling nut” in order to participate in any of the Helsinki bike tours, but you do need to know how to ride a bicycle, cross the street with confidence and stop on command. Tour participants range in age from 8 to 80 and the group size is usually quite small – anywhere from 2 to 10 people per bike tour. Many of the people who choose to participate in a guided bike tour of Helsinki, Finland do so because they see it as a unique and pleasurable way to spend the day with a friend, significant other or the entire family. Do You Need Your Own Bicycle? When you arrive at one of the two Bike Tours Helsinki headquarters you will first be equipped with a bicycle and a helmet (everything you need to complete your bike tour of the city). While you can bring your own bicycle on the tour if you like, most people don’t go through the hassle. Instead, the company has a small fleet of bicycles on hand, which they provide for use on any of their guided bicycle tours. The bicycles are commuter-style bicycles with flat handlebars, a casual riding position and smooth city tires. The bikes have both back pedal foot brakes and one hand brakes so you feel free and comfortable to cruise around the city. They are the perfect cruiser bike for citywide sightseeing! On the company’s bike and sauna tours they use single speed cruiser bikes with high handlebars and a rack at the back to carry any bathing gear you might with to bring with you. And on the company’s longer tours outside of the city center, they use 21-speed hybrid or mountain bikes – depending on the nature of the tour. I thoroughly enjoyed my bike tour of Helsinki, Finland. My tour guide (Anssi – the blonde-haired young man in the photos on this page) was super friendly and incredibly knowledgeable. He was able to pass on a great deal of information about both Helsinki and Finland in general. We covered a large percentage of the city center on the bike tour and hit most of the city’s major attractions. My favorite part of the tour was the city’s indoor and open-air markets, where all manner of things were being sold (from fish to fudge, kitchen appliances and more). This entry was posted in Bicycle Touring Pro Articles, Europe, Featured Articles, Finland, Locations, Main Articles, Product & Service Reviews and tagged bicycle tours in helsinki finland, bike tours helsinki, cycling in helsinki finland, finland bike tours, guided tours of helsinki, happy tours helsinki, helsini finland tour services, helsinki bike tours, tour reviews of helsinki, what to do and see in helsinki finland, what to see and do in helsinki. Ist es möglich eine geführte city bike tour durch Helsinki für 2 Personen in deutsch zu bekommen.